Natural Cancer Treatment... The Almighty Power of Green Tea! Cancer scientists are extremely excited right now. As far as treatments for cancer go, green tea has passed every test so far with flying colors. Here's why this plant may well be one of the best alternative cancer treatments and cancer fighters on the planet! Green tea really is an absolute marvel of nature. More and more studies are being carried out on this amazing plant, and every time the results just keep getting better. It’s currently the hottest and most exciting topic around the health and healing traps. Because there's now an enormous mountain of data collected from all over the world confirming just how much green tea protects and heals the human body. And recent studies have found it to be especially potent for treating cancer! The Japanese recently published some outstanding results on green tea consumption, based on findings from the 10 year Ohsaki National Health Insurance Cohort Study. This massive study involved 41,761 Japanese adults aged between 40 and 79 years and is the first of it's kind to overwhelmingly prove the value of green tea as a very real treatment for cancer. Another research team from Tohoku University’s Department of Public Health and Forensic Medicine found another strong link between green tea consumption and it's ability to prevent and even treat cancer. Further studies on green tea and cancer have also shown that green tea can actually reduce the incidence and size of tumors - by a large degree in many cases. When it comes to cancer, green tea seems to be at its most potent with breast and prostate cancers. In Japan and China, where women regularly consume green tea, they have the lowest rates of breast cancer in the world. In fact, breast cancer is almost nonexistent in Japanese women! And Japanese men also have one of the lowest incidences of prostate cancer in the world. You guessed it… green tea! 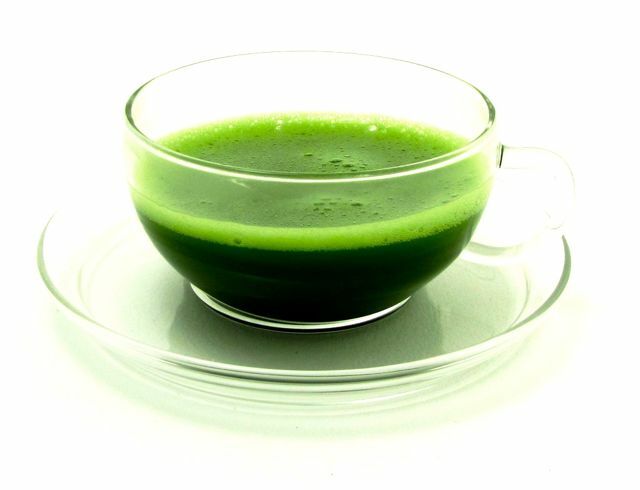 The powerful antioxidants contained in green tea are substances known as polyphenols or catechins (ECGc’s). These substances are a 100 times more potent at scavenging and disarming free radicals than vitamin C or vitamin E.
Remember this… the primary cause of every illness and every disease, including cancer, is free radical damage to our cells and DNA. If we can prevent this harmful process from occurring - and if it does occur, reversing it through the consumption of green tea - then I believe we are at least three quarters of the way there to stopping this deadly disease in its tracks! In addition, be sure to combine your green tea with a citrus fruit(s) for added benefit. You can now buy green tea varieties that have been infused with citrus, or instead, simply make your own by adding a slice of orange and lemon (and ginger) to your Matcha green tea. It tastes amazingly good!